WOMEN spend a year and three months of their lives putting on make-up. 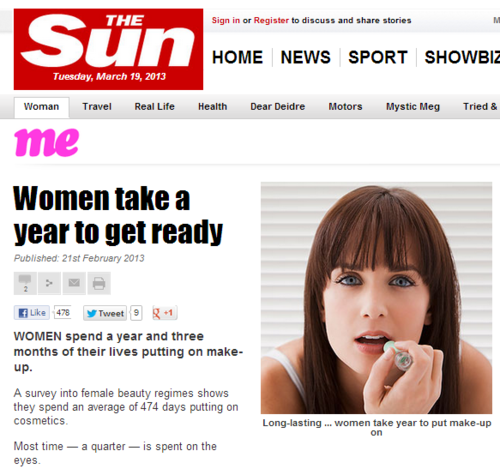 A survey into female beauty regimes shows they spend an average of 474 days putting on cosmetics. Most time — a quarter — is spent on the eyes. 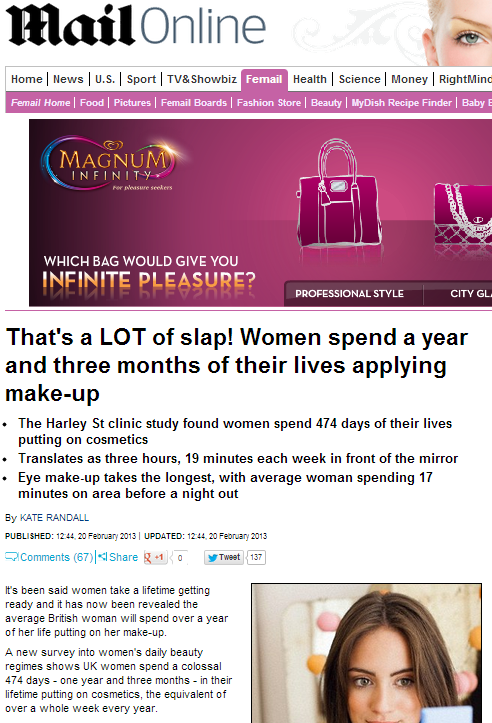 The Specialist Make-up Services poll found 93 per cent ALWAYS used slap on a night out and half had to have it on for work. 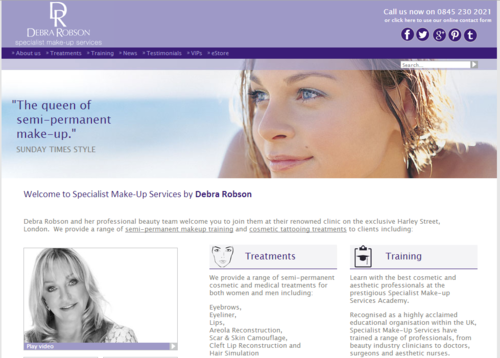 Specialist Make-up Services are the leading practitioners in semi-permanent micro-pigmentation treatments that add depth and definition to the eyebrows, eyes and lips. This entry was posted in Uncategorized and tagged daily mail, debra robson, kate randall, Specialist Make-up Services, the sun on March 24, 2013 by Michael Marshall.